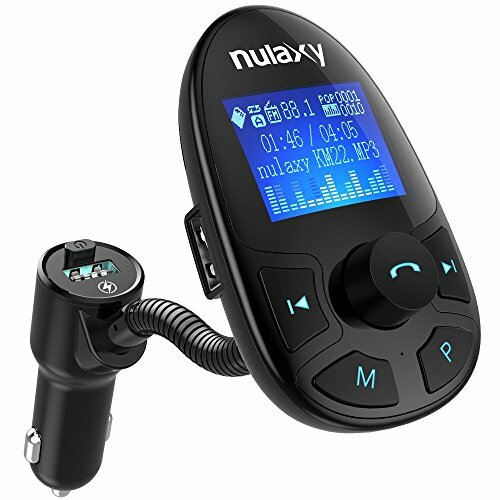 Description: Nulaxy KM18 is the best selling FM transmitter on the market, has been consolidated by uniting quality and high technology. The fonction that This Bluetooth transmitter adds to your car without any type of installation and wires is incredible. 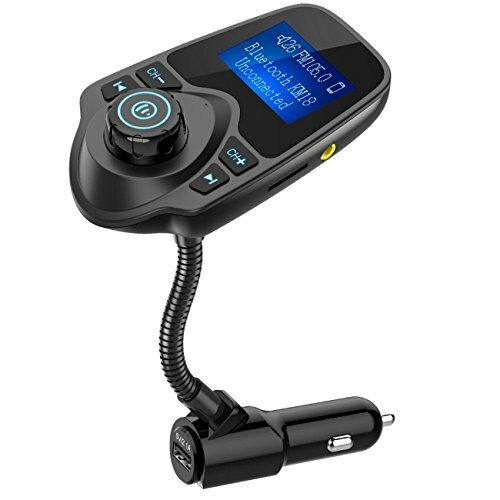 Add in Your Car 1x Bluetooth FM transmitter. Play your favorite songs in the sound of your car through Bluetooth, TF Card, Aux Cable. - SAFETY FUNCTIONS: Safety first. KM18 is equipped with a voltmeter to show you the condition of your car battery. Voltage should be between 13.2V to 14.7V when your car is on and moving. 12.2V to 12.8V when your car is parked and ignition is off. - GREAT ADVANTAGES: Compatible with most devices on the market. 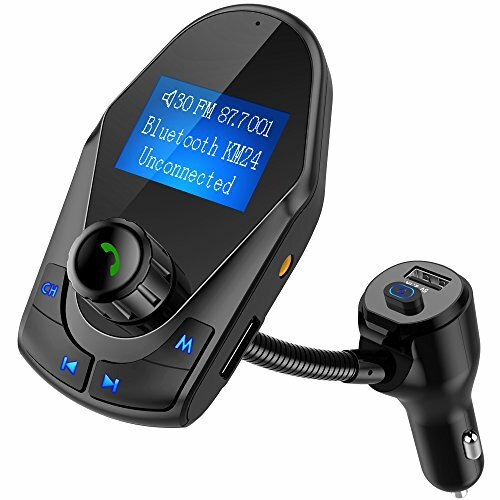 Play your favorite songs on your car stereo through Bluetooth, TF Card, Aux Cable. Advanced noise reduction technology will ensure quality, crystal clear sound. - THE BEST: Consolidated for customers the best FM Transmitter on the market the Nulaxy KM18 won the market for its superior quality and reliability. - BIG LCD DISPLAY: 1.44 inch screen to better visualize phone calls, music, car battery voltage. The ideal screen size to assist you in driving safe without disturbance. - TECHNOLOGY IN YOUR CAR: 1) Bluetooth connection; 2) Answer phone calls with the press of a button; 3) Voltmeter function to monitor the quality of your car battery; 4) 3 different ways to play music in your car, and more. Domestic Shipping Item can be shipped within U.S. Item can be shipped within U.S. Item can be shipped within U.S.